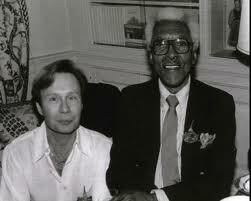 If you didn’t know that, or if you’ve never heard of him, it’s probably because homophobia within society at large and within the African-American Civil Rights Movement, a well-kept secret, relegated Rustin to the back of the bus, so to speak, to the background of the Civil Rights Movement. For example, in 1956, Rustin was hidden in the trunk of a car and covertly ushered out of Montgomery during the Montgomery Bus Boycott because the movement feared that an openly-gay man as an advisor would discredit the efforts of Dr. Martin Luther King and the other leaders of the Civil Rights Movement. Three years earlier, he had been arrested for a homosexual act. 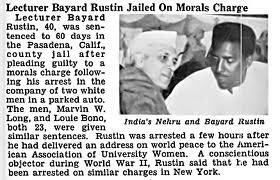 Rustin’s sexuality, or at least his public criminal charge, was criticized by some fellow pacifists and civil-rights leaders; worse yet, he was attacked as a “pervert” or “immoral influence” by political opponents, black and white alike, from segregationists to Black power militants from the 1950s through the 1970s. As an openly-gay man, he became one of the leading advocates for gay equality. In addition, his pre-1941 Communist Party affiliation was controversial. Consequently, Rustin served only rarely as a public spokesperson. He usually acted as an influential adviser to civil-rights leaders. In the 1970s, he became a public advocate on behalf of gay and lesbian causes. 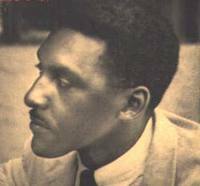 Bayard Rustin was born in my home state, Pennsylvania, in West Chester, in 1912. Music was a strong force in his life. An accomplished tenor, he attended Wilberforce University and Cheyney State Teachers College in Pennsylvania on music scholarships (and later the City College of New York). (In 1939 he was in the chorus of a short-lived musical that starred Paul Robeson. Blues singer Josh White was also a cast member, and later invited Rustin to join his band, “Josh White and the Carolinians”. This gave Rustin the opportunity to become a regular performer at the Café Society nightclub in Greenwich Village, which widened his social and intellectual contacts.) He had been a Harlem nightclub singer in the 1940s. He had gone to prison as a conscientious objector during World War II , where he went to work on learning to play the lute. 1937 Rustin began his activist career by training at the American Friends Service Committee. 1937 Became organizer for the Youth Communist League (later to become anti-Communist). 1941 Quit Youth Communist League. Colleague of A. Philip Randolph, President of The Brotherhood of Sleeping Car Porters. Race Relations Secretary for the Fellowship of Reconciliation (FOR). 1942 Field Secretary for the Congress of Racial Equality (CORE) Colleague of Norman Thomas, a leader in the democratic socialist movement. 1947 Helped plan the Journey of Reconciliation “freedom ride” which paved way for the freedom rides in the early 1960’s. After being arrested, Rustin’s experiences on a chain gang were chronicled on The New York Post which initiated an investigation that eliminated chain gangs in North Carolina. 1940’s Assisted in lobbying President Truman to eliminate segregation in the military. 1945 Organized the Free India Committee, fighting for India’s independence from Britain. 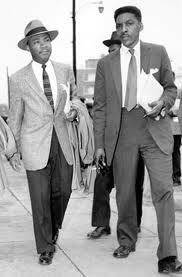 1951 Organized the Committee to Support South African Resistance (American Committee on Africa). 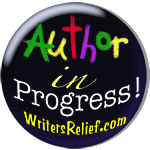 1953 Joined the War Resisters League. 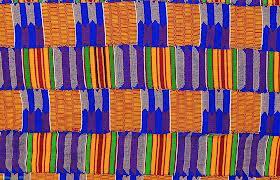 1956 Began assisting Dr. Martin Luther King, Jr. in the Montgomery Bus Boycott. 1957 Organized the Prayer Pilgrimage for Freedom. 1960’s Helped form the Recruitment and Training Program (R-T-P). Vice Chairman of the International Rescue Committee. 1963 Deputy Director and chief organizer of the March on Washington for Jobs and Freedom, where Dr. King presented the “I Have a Dream” speech. 1964 Helped found the A. Randolph Institute (APRI). 1980 Participated in the March for Survival on the Thai-Cambodian border. 1982 Helped found the National Emergency Coalition for Haitian Rights. Chairman of the Executive committee of Freedom House. 1983 Rustin’s report South Africa: Is Peaceful Change Possible? led to the formation of Project South Africa. Rustin with partner Walter Naegle. A Pennsylvania State Historical Marker is placed at Lincoln and Montgomery Avenues in West Chester, Pennsylvania. 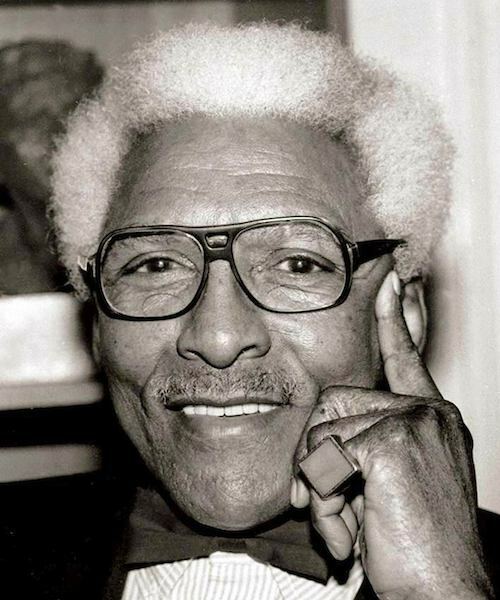 Another marker commemorating his accomplishments lies on the grounds of Henderson High School, which he attended.Bayard Rustin was posthumously awarded honorary membership into Delta Phi Upsilon Fraternity, Inc., a fraternity for gay, bisexual and progressive men. My activism did not spring from being black…The racial injustice that was present in this country during my youth was a challenge to my belief in the oneness of the human family. [Bigotry’s] birthplace is the sinister back room of the mind where plots and schemes are hatched for the persecution and oppression of other human beings. 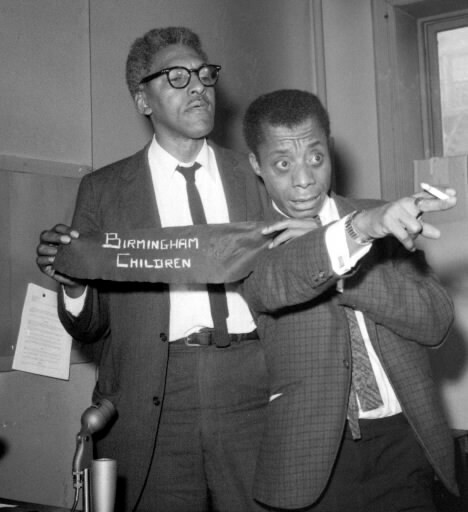 You can learn more about Bayard Rustin and his influence on contemporary African-American and gay civil rights movements in the documentary Brother Outsider: The Life of Bayard Rustin.